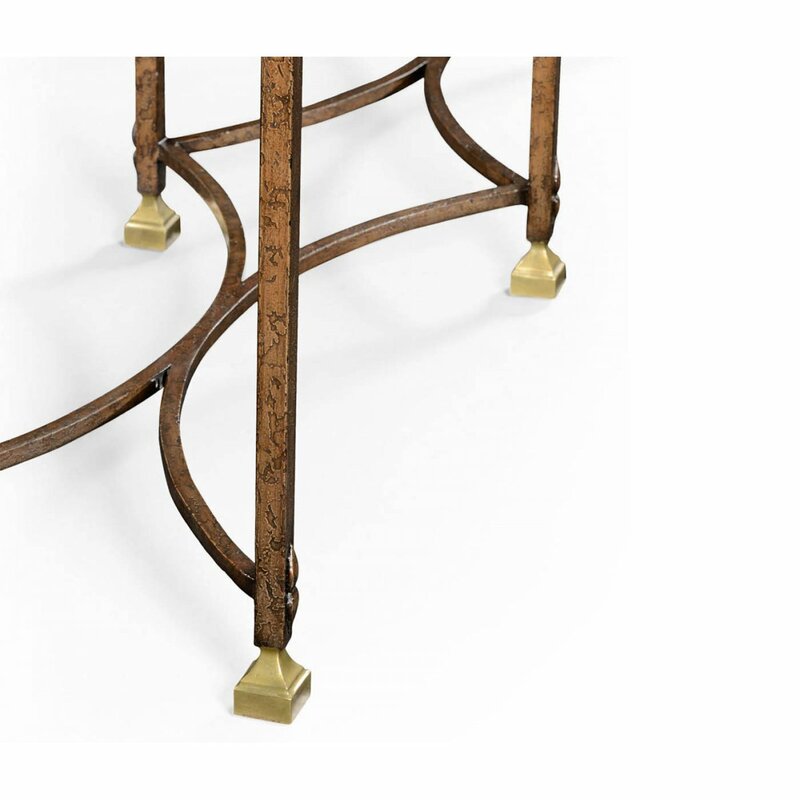 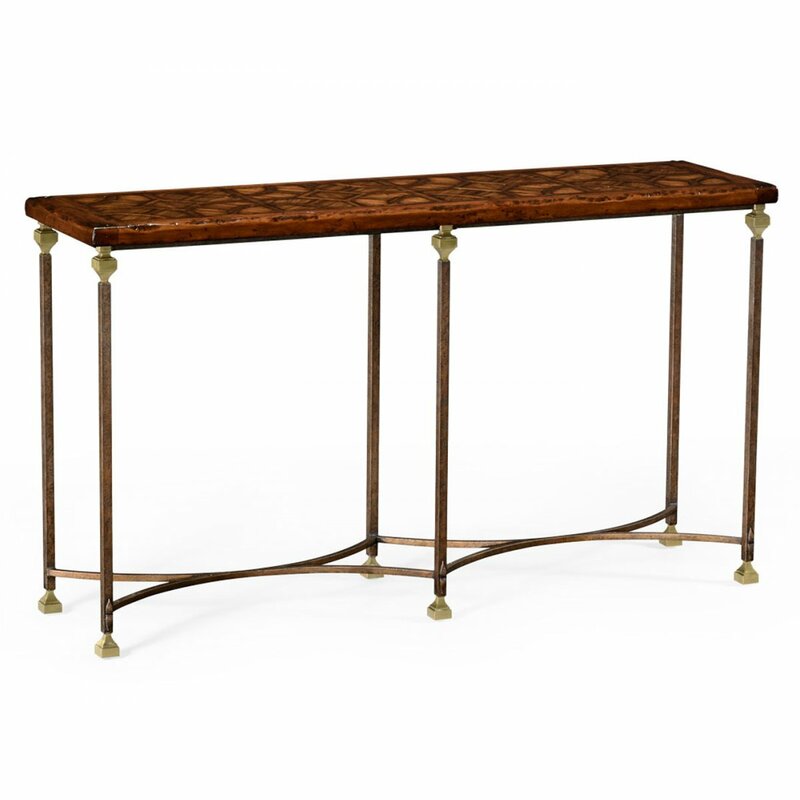 This impressive Jonathan Charles Narrow Walnut Iron Console Table is a treasure to behold. 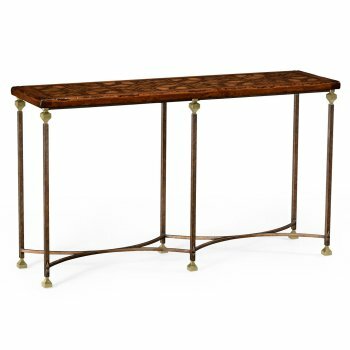 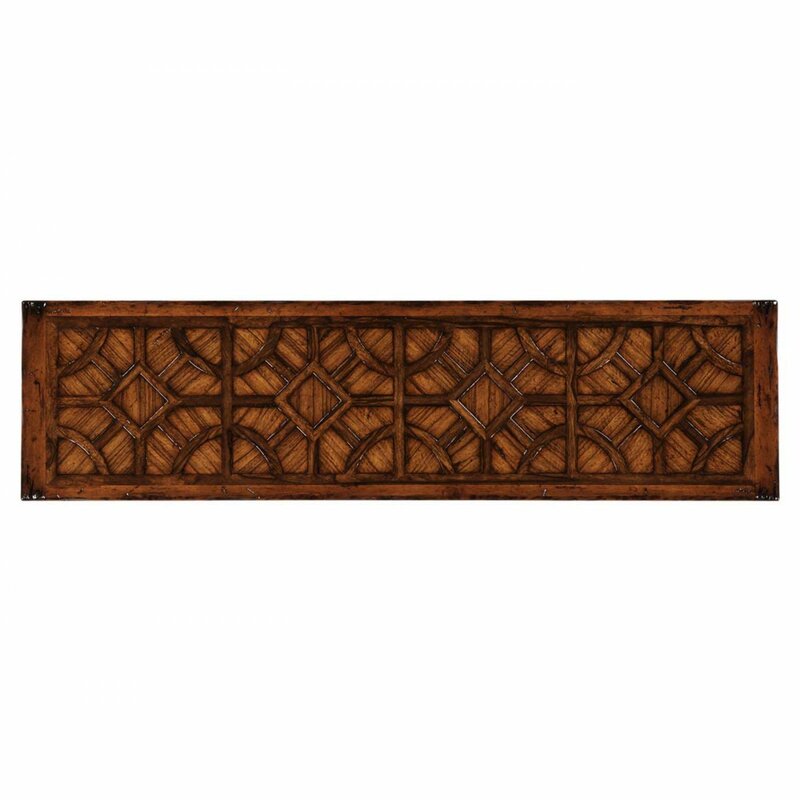 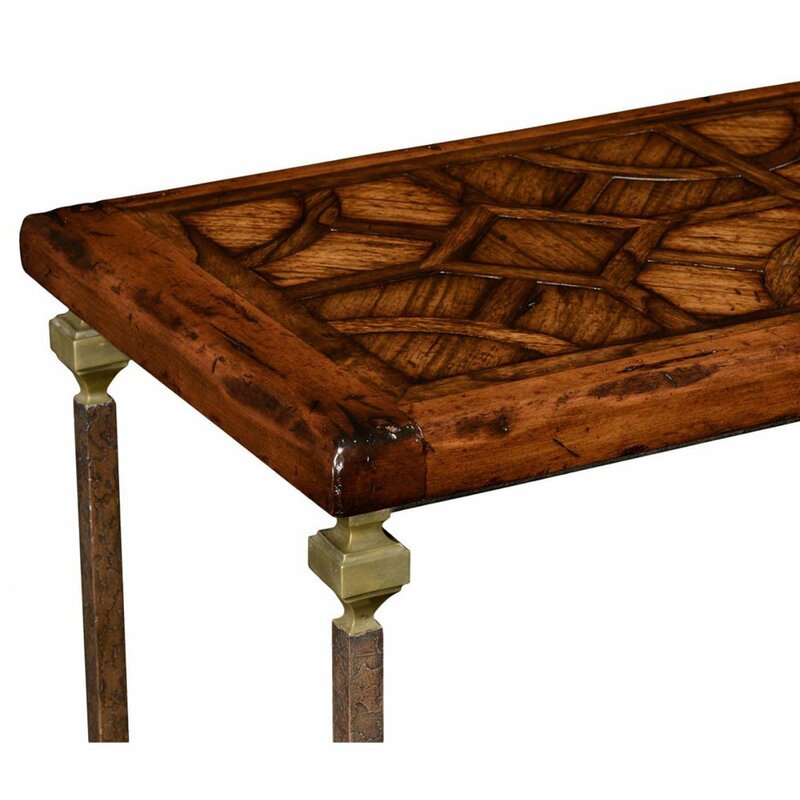 Rectangular topped raised parquetry console table features heavily distressed finish and geometric design set above a wrought iron frame with brass capped feet and supports. 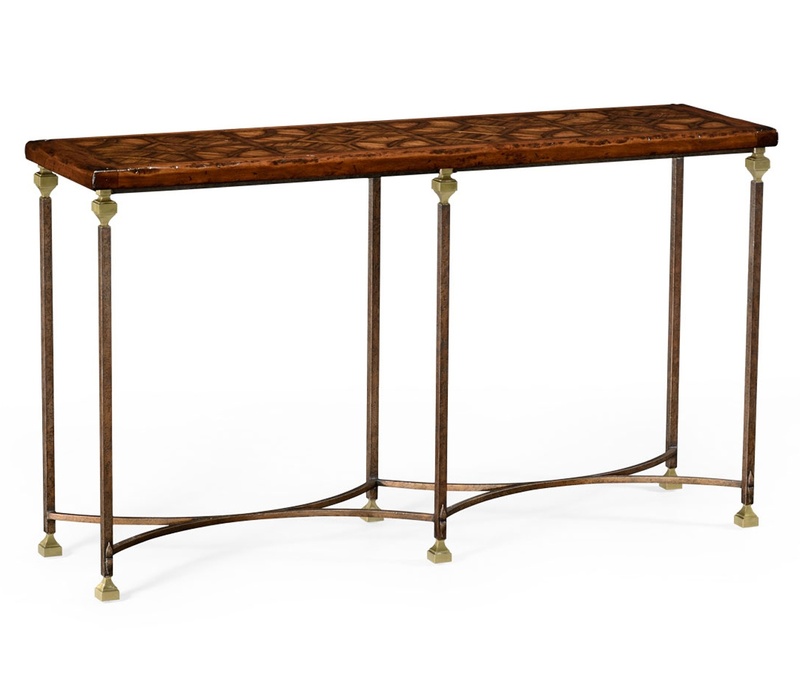 A sleek, minimalist silhouette is highlighted by the contrasting stylish iron, brass base and rich Argentinian Walnut top. 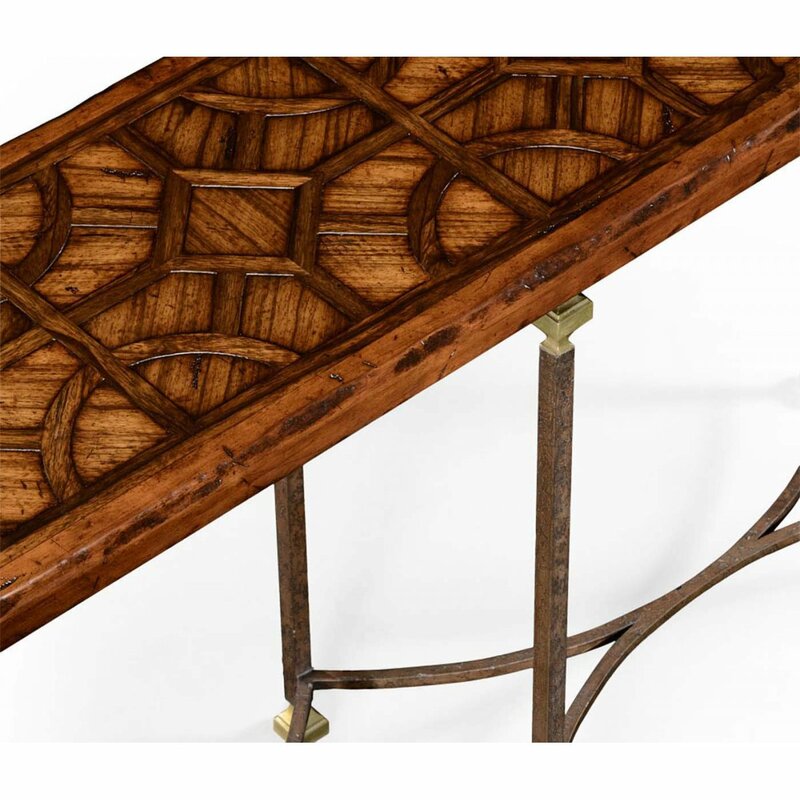 The overall effect is that of modern simplicity with a Vintage edge. 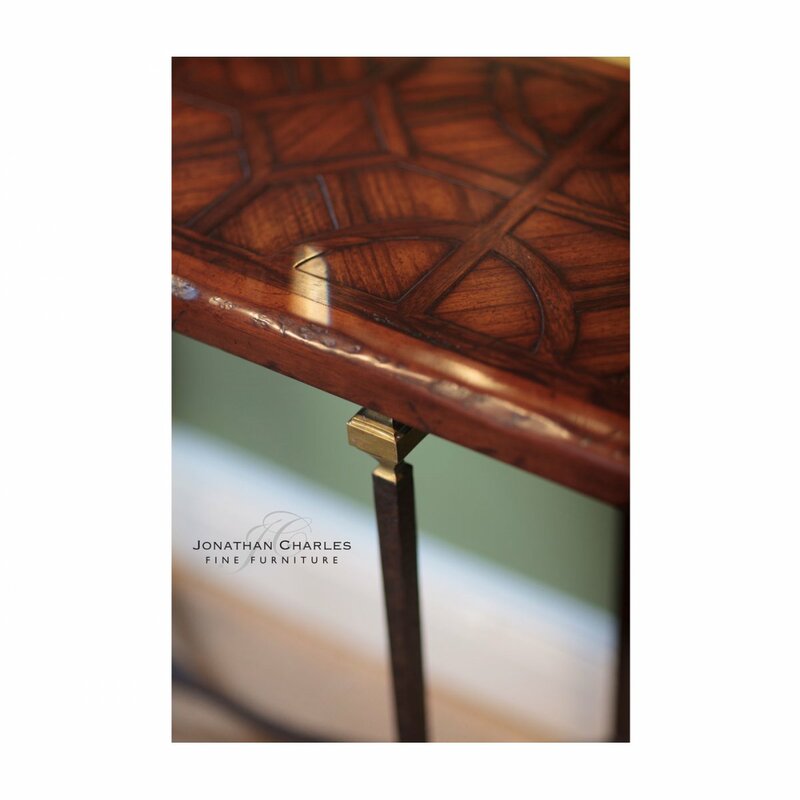 Coordinate with other furnishings from the Jonathan Charles Anvil collection.